School Board/Administration: Minnesota (Educational Board Member); 19?? to 19?? Special Legislative Concerns: family support, children, health, human services, education. 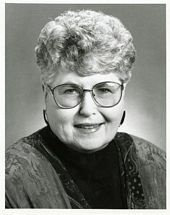 She was a native of Delavan and Blue Earth, Minnesota. She was a member of the 'Gang of Seven' who helped to establish MinnesotaCare in the early 1990s (Access Press, March 10, 2018). 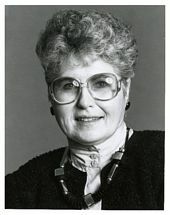 Her funeral was held at St. Augustine Catholic Church in Austin, Minnesota. She was buried at Calvary Cemetery in Austin, Minnesota. 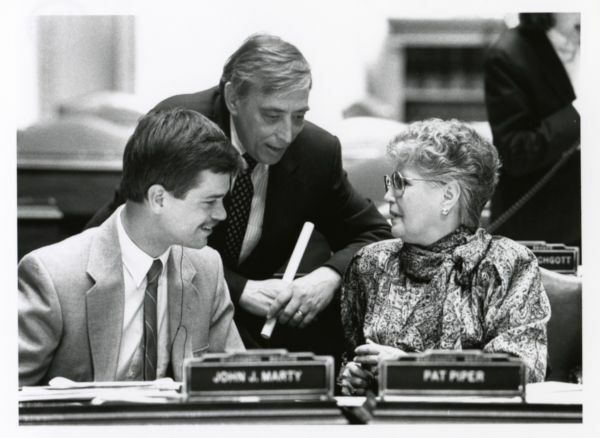 Senator John Marty, Senator James Pehler, and Senator Pat Piper confer during a Senate floor session, St. Paul, Minnesota. 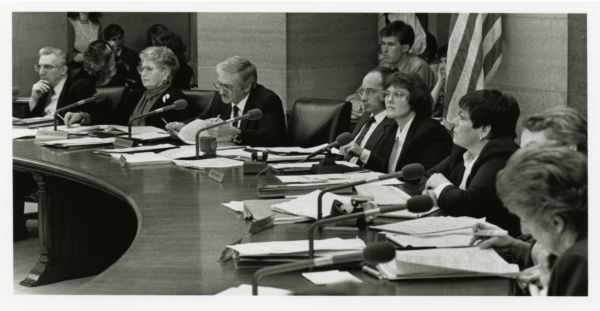 Senators Sam Solon, Pat Piper, Jim Vickerman, and Linda Berglin at a Health and Human Services Committee hearing, St. Paul, Minnesota. "Pat Piper -- Austin (Obituary)." Rochester Post-Bulletin, February 3, 2016. 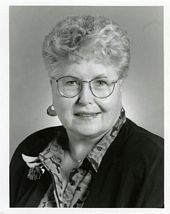 "Piper, Patricia Kathryn (Obituary)." Star Tribune, February 3, 2016. Carlson, Heather J. "Remembering Pat Piper: 'She Was All Heart'." Rochester Post-Bulletin, February 3, 2016.